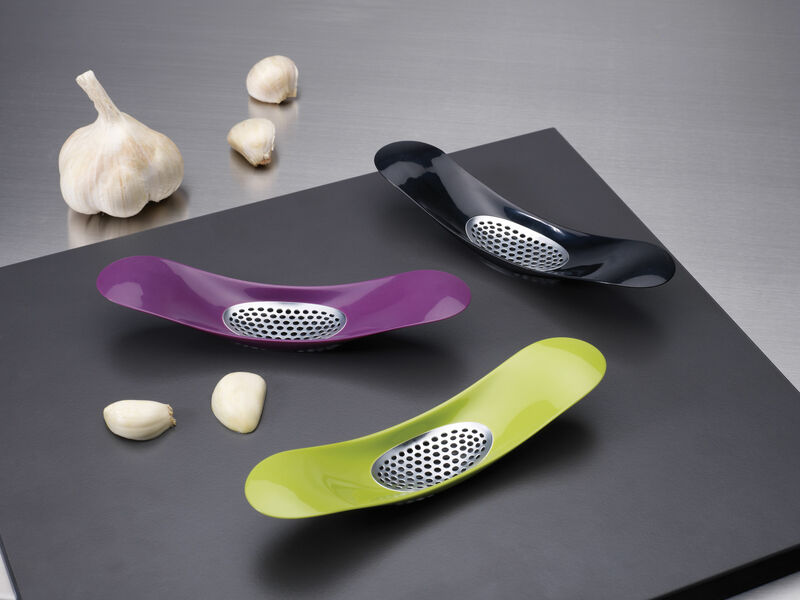 The stylish design of this garlic crusher makes this messy task much easier. 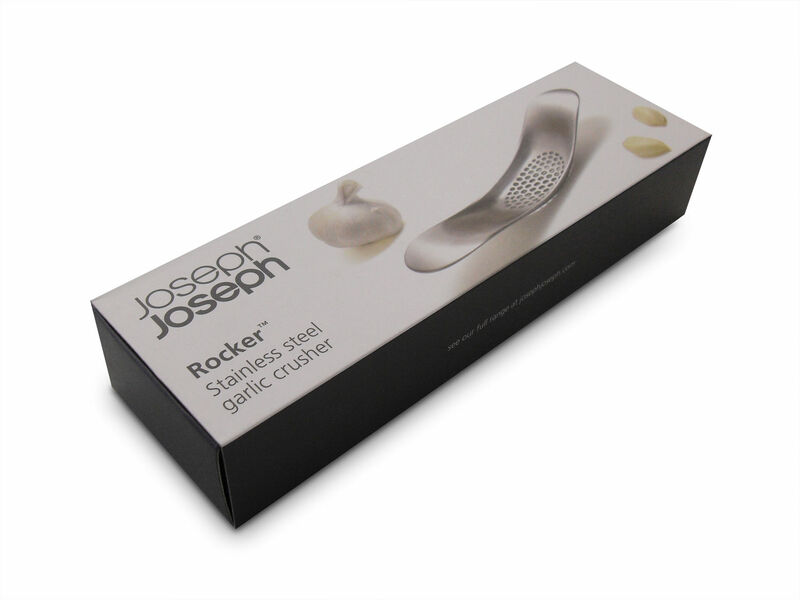 By using downward pressure and a ‘rocking' motion it crushes garlic cloves quickly and efficiently, forcing the pieces up through the mesh of holes. 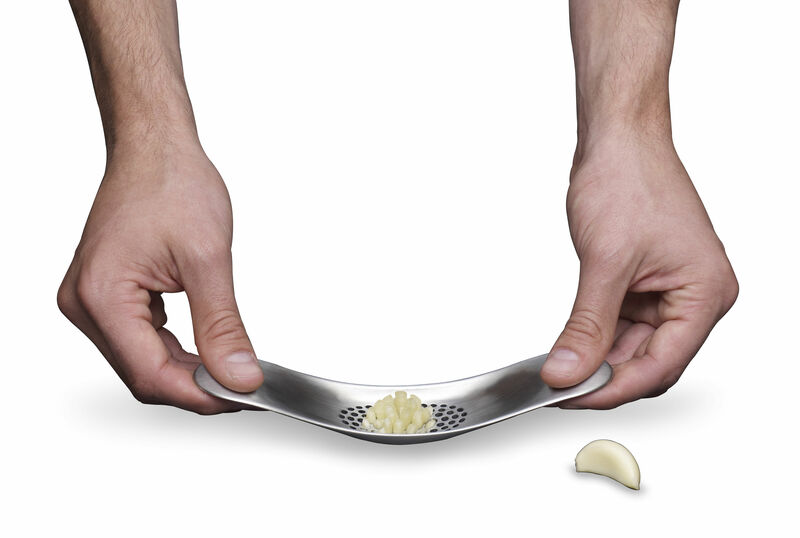 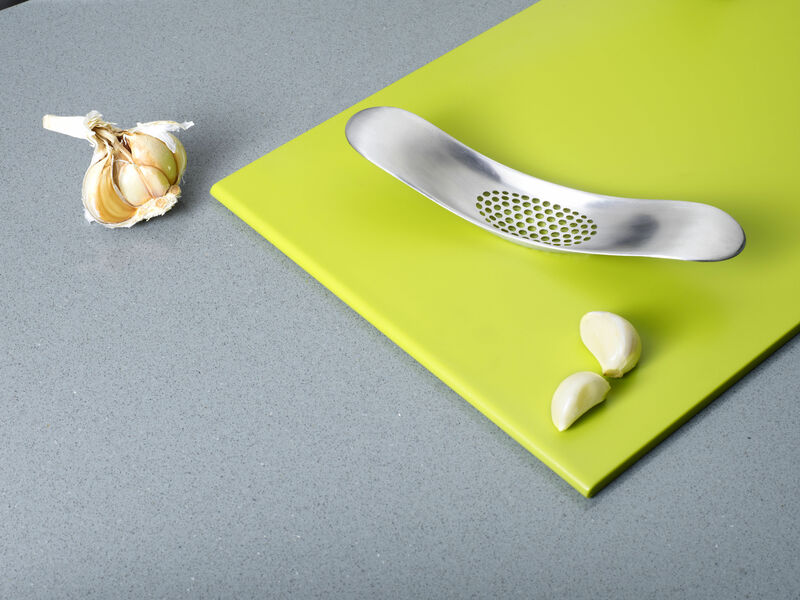 Once crushed, the garlic pieces are held in the shallow bowl, allowing them to be spooned or scraped easily into a pan. 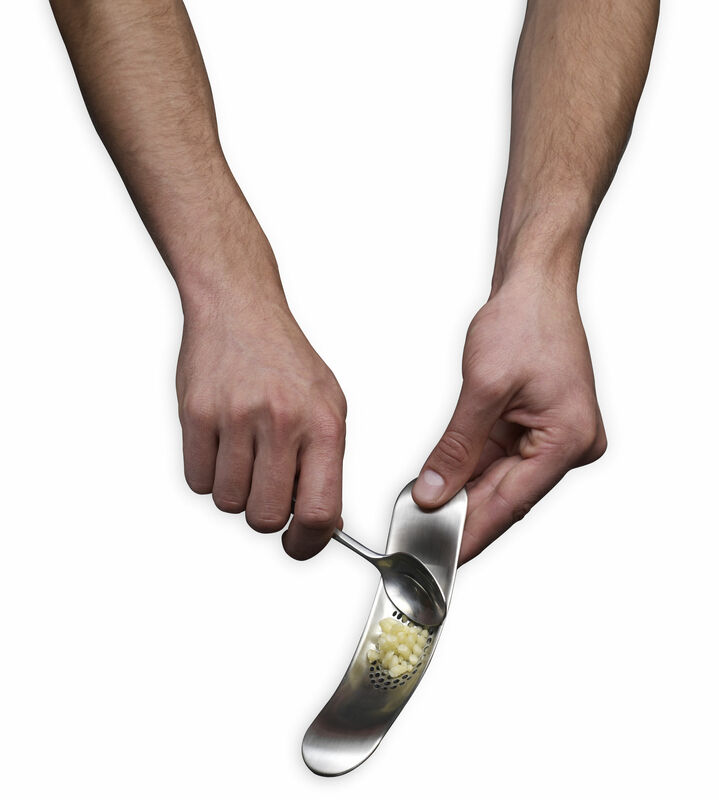 Additional cloves can also be crushed at this stage before emptying.